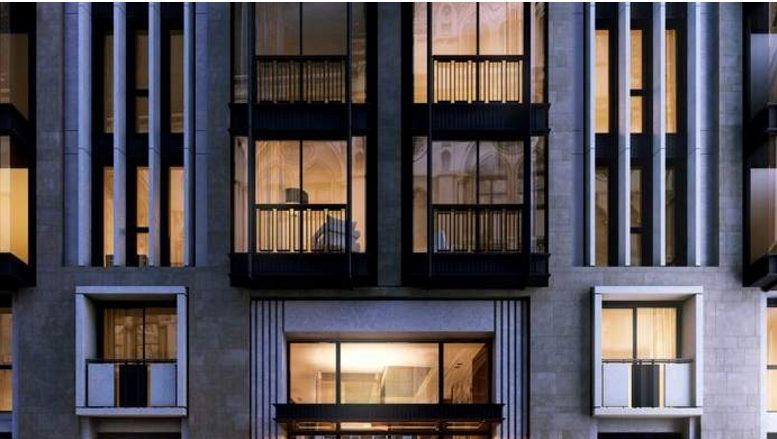 Lodha UK’s Lincoln Square in London attracted a significant number of buyers from the Middle East, especially from the UAE, according to a top executive of the company. The subsidiary of India’s Lodha Group managed to sell 20 per cent of the total units released so far to Middle Eastern investors since its launch earlier this year. Lodha UK announced that it has sold over 50 per cent of apartments in the first sales phase of Lincoln Square. The scheme was officially launched in Dubai last week (October 9 and 10) for Middle East buyers and investors. He mentioned that the company has already sold 20 per cent of the released units to the regional investors and he expects more bookings in coming days on follow-up meetings after the Middle East launch. “Particularly, they look for big units,” Walsh informed. Two of the larger apartments, for example, have been reserved by a Dubai buyer who is purchasing on behalf of his two grandchildren – one grandchild has completed his studies at the London School of Economics and the other is hoping to attend LSE. The majority of buyers are from the UAE and there are also a few buyers from Qatar, he added. Initially, the company released 60 units out of the total 202 in the project. The total value of the project is £500 million. “We released another 40 to 50 units for Middle Eastern buyers,” he said. Unit prices start from Dh4.6 million. The project is expected to be completed in Q3 2018. Lincoln Square is situated opposite the Royal Courts of Justice and Lincoln’s Inn Fields with the cultural hub of Covent Garden to the west and the financial district of Square Mile to the east. The development is located in an area where new homes are a rarity and offers a unique opportunity to live in a district associated with the UK’s prestigious legal profession. The development is located adjacent to the London School of Economics and a short walk from King’s College London. Knight Frank’s 2016 Wealth Report stated that 80 per cent of advisers to ultra-high net worth individuals expect increased demand for international education among their clients over the next decade. Last year, £1.1 billion was invested in prime central London by buyers motivated by education, according to Knight Frank. Walsh said Lodha UK is creating homes for those wanting a residence close to blue-chip companies, law chambers and the Royal Court of Justice, along with those studying who want to remain in London to live and work after university. Situated just five minutes away from Covent Garden’s array of Michelin-starred restaurants, theatres and boutiques, Lincoln Square is also located within close proximity of some of the most established higher education institutions in the world. Lincoln Square comprises 10 storeys and two basement levels designed by PLP Architecture. The development will offer residences from studios to four-bed apartments and two penthouses. Gustafson Porter, known for the Diana, Princess of Wales Memorial in Hyde Park, has designed the private courtyard, providing a green space at the centre of the scheme. All rights reserved to the initial publisher for khaleejtimes.